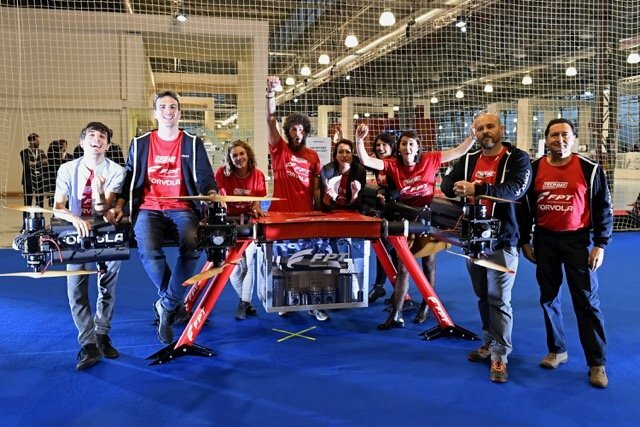 FPT Industrial and Forvola have just broken the Guinness World Records for the heaviest payload lifted by a drone during FPT Industrial’s Tech Day event in Turin, Italy. 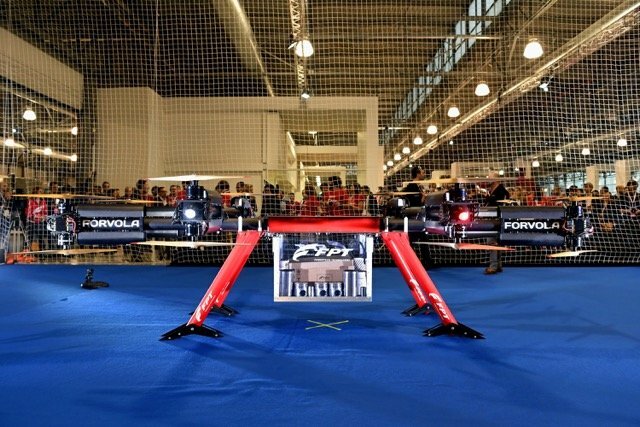 Forvola’s megadrone, with its 16 propellers, lifted a box full of FPT Industrial spare parts weighing 101 kg to a height of almost 1.5 meters for more than one minute and three seconds. The record was officially certified by Guinness World Records on 6 December. The previous record belonged to the University of Oslo, Norway, whose drone lifted 61 kg to a height of one meter for 37 seconds in 2015. Forvola’s drone is the world’s first customisable megadrone currently on the market. It has a power of 10 to 20 kW, can carry weights up to some 200 kg and fly for 30 minutes or more, depending on the payload. The drone record was another successful FPT Industrial accomplishment – the Brand had already achieved three other records in 2018. In March, FPT Industrial broke the Guinness World Record powering the fastest diesel powerboat, from FB Design, which reached a speed of 277.5 km/h. With its sister brand New Holland Agriculture, FPT Industrial powered the Braud 9090X grape harvester, which achieved the record for most grapes harvested in eight hours (197.6 tonnes, corresponding to nearly 200,000 bottles of wine). The third record was established in June, also for speed on water, when its partner All Black Racing team completed the Cork-Fastnet-Cork route in two hours, six minutes and 47 seconds (average speed 62.75 mph / 100.99 km/h).